Hey 'Progressives': Think You Won't Be Next? Remember those nasty anti-corporate "Occupy" protests a few months back? Now that companies have cowardly shied away from political controversy and pulled talk radio advertising, all is apparently forgiven. That's right, our "progressive" friends at Media Matters are suddenly "proud" of big business! All it took was their participation (under intense liberal pressure, of course) in an ill-advised Rush Limbaugh boycott campaign. Of course, this slippery slope that has even some on the left warning of a milquetoast future for radio and TV political commentary is lost on gloating liberal activists now taking their victory lap. 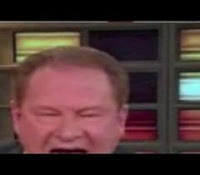 Do they really believe "progressives" Ed Schultz (shown upper right image), Randi Rhodes, Mike Malloy, Stephanie Miller, Bill Press, Thom Hartmann, Al Sharpton, Bill Maher, Jon Stewart and many, many more won't be affected? It's the political equivalent of mutually assured destruction. But go ahead, keep launching your missiles! See what happens next. KATIE PARIS - MEDIA MATTERS FOR AMERICA (32:16): I would have never thought you know when we launched Media Matters about eight years ago that we could ever even be having this discussion about, you know, Rush Limbaugh being this weakened, but you know look I’m really proud of American companies right now you know they’re really getting it. Katie, what they're "really getting" is to stay away from ALL controversial programming, ALL political commentary and ALL interesting radio and television. That leaves BORING, tired acts like Geraldo, Mike Huckabee and other snoozers who are in position to replace successful conservative shows. And on the left, it means a quick end to "progressive" talk radio and the conversion of MSNBC into a 24-7 headline news outlet. Music stations and apolitical cable channels will reap the benefits of additional advertising. Occupy is basically a marxist movement, & when the time comes, they will get rid of whoever they need to on their way to utopia. They will eat their own, & already are in some small ways. I have noticed an obvious and massive drop in WJR Detroit's commercials. It is about 90% public service announcements from Asthma to "The Ad Council" etc. What's up?